Your move doesn’t end with packing all of your belongings and shipping them to the new location. Finding a place to live, seeking employment, arranging a removals company, packing your home absorb our time and attention, and cleaning after moving out is usually skipped. Moving day is over and you find yourself in the middle of an empty, messy place. Renter or owner, either way, you have to leave the place in an appropriate condition. If you are a renter, then your security deposit is at stake. If you are an owner, then mind that you have to create the best version for your home to increase the sale price. When moving out, focusing on cleaning may not seem essential. But if you organize and systematize the cleaning process in advance, you will save time, money and efforts. Our daily chores and work usually absorb most of our time and attention, but making time to inspect your home and assess the situation will help you finish fast and efficient the cleaning task. First, decide whether you will go for just cleaning the dirt or you may as well do a few cosmetic repairs. If you lease the place, then make sure you fulfill the agreement, so get your deposit. Get all the cleaning supplies lined up in advance. After assessing your situation, check whether you will need more cleaning detergents. Make sure that you have all the different detergents for the different surfaces and rooms. For your kitchen, you will need something to cope with the grease stains, and for your bathroom, you need a disinfectant. Wood flooring needs a delicate cleansing agent, and carpets should be washed. If cleaning will be too much for you tackle when the last box is loaded, arrange a couple of friends to help on moving day. Make sure you ask them a few days earlier. Start cleaning the minute the removals company leaves your place. Prolonging won’t help. You may be exhausted and eagerly anticipate moving to the new home, but focus on cleaning to finish it timely. Pick a room and do not leave it, until you leave it spotless. Floors, walls, doors, windows, and furniture (if any) should shine. After you finish cleaning up the interior, focus on the outdoors. Cleaning your home shouldn’t end with taking out the trash. Clean driveway and trim grass, or sweep leaves. Make our property look welcoming. How much time and money will you need to clean your home after moving out depends on the size of your property and its current condition. If you have cleaned your home thoroughly regularly, then you won’t need much time and resources to cope with that task. In many cases paying for professional cleaning services will be the smarter solution. Professional cleaning companies can clean your home faster and more efficiently. 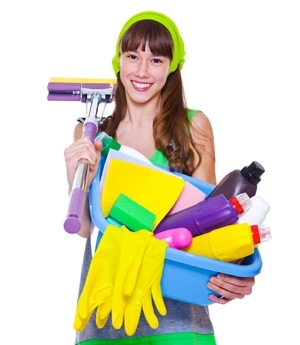 So it makes sense to ask a few cleaning companies that provide end of tenancy cleaning quote. You may ask about a good cleaning company friends and colleagues. Before contacting any cleaning company, make sure it’s a reliable one. Getting a few recommendations is a good start. Next, contact each company and ask for a quote. Compare not only prices for the cleaning service but company experience and competence. Ask about the techniques and the tools that the company will employ when cleaning after you move out. Cleaning by yourself or hiring professional cleaning services, either way, make sure you achieve excellent results and your place will be left cleaned and tidied before you move to your new home.